Canada boasts one of the best healthcare systems in the world and Toronto is no exception. Here, citizens and foreign nationals that have residence permits benefit from an extensive tax-funded healthcare scheme called the Ontario Health Insurance Plan (OHIP). Ontario's publicly funded healthcare system provides high-quality medical care that is recognised as being one of the best in the world. The Ontario Health Insurance Plan (OHIP) is a provincially funded medical plan to provide free essential hospital and medical care for all its residents. Coverage includes free visits to a family doctor and a specialist. OHIP, however, does not pay for prescription medicines. Ontario provides free health insurance to legal residents who have lived in the city for at least three months and to foreign assignees that have work permits that are valid for at least six months. Expatriates that don’t have residence permits are strongly advised to take out private health insurance that will cover their basic and urgent medical needs. Family doctors or also known are General Practitioners (GP) are the first doctors to diagnose and treat a majority of medical issues. Also, seeing a specialist needs a recommendation or referral from a GP that’s why it is important to find a family doctor upon relocating in Toronto. The most common way of finding a GP is by registering with Health Care Connect, an app that will refer you to the local doctor or nurse practitioner in your area that is accepting patients. However, this online tool is only available to OHIP card holders. Another way for expats to find a GP in Toronto is by visiting the website of the College of Physicians and Surgeons of Ontario. The ‘Doctor Search’ tool will help you find a GP that speaks your language and the type of specialisation you need. Home visits are also common in Toronto and two of the companies that can arrange a doctor to visit you are MedVisit Doctors House Call Service and MD Home Call. OHIP card holders are free of charge while patients that have private insurers need to pay the service call. Hospital services in Toronto are some of the most sophisticated and comprehensive worldwide. Hospital for Sick Children or SickKids is the leading children's hospital dedicated to improving children's health in the country. Princess Margaret Hospital (PMH) is reputably a global leader in fighting cancer and is the only facility in Canada devoted to cancer research. Toronto Western Hospital (TWH) has one of the best emergency departments and specialises in neurosurgery. Also, Toronto is home to the world's leading biochemical research centres such as Samuel Lunenfeld Research Institute of Mount Sinai Hospital and Trillium Health Centre - West Toronto. 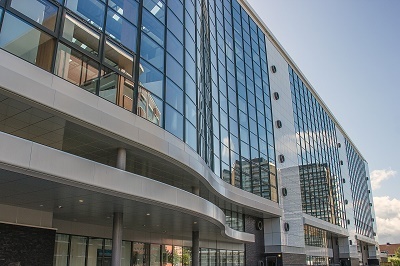 Canada's Toronto Division of the University Health Network is one of the leading academic health centres. Toronto Emergency Medical Services (EMS) is the city's largest municipal land ambulance service. By calling 911, Toronto EMS handles the assessment, treatment and transport of patients to a hospital emergency department. Ambulance services are not free, and the normal fee is CAD$45 as a majority of the ambulance bill is covered by OHIP. Expatriates not covered by OHIP or any other private insurer on land ambulance cost will be billed the full amount of CAD$240. If medical attention is not required and only medical information is needed, one can call the Toll Free Number of Telehealth Ontario at 1-866-797-0000. Telehealth Ontario is open 24 hours a day Mondays to Sundays. Registered nurses handle the calls in Telehealth to help diagnose health problem over the phone and can direct one to a pharmacy or decide if medical attention is needed.